Officially known as acrochordon, skin tags are a condition where there is a tiny growth on the skin that can be called benign tumors. They mostly occur in places where the skin folds such as armpits, the neck, and the groin area. 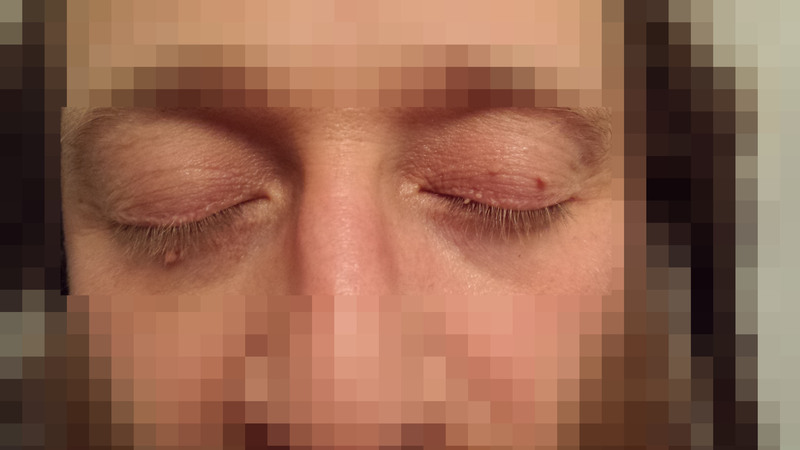 In rare cases, they also appear on the face, especially on the eyelids area. They are not painful; they do not display any growth and do not change in any way. A skin tag is made up of a fibrovascular core that gives an irregular appearance to the growth. The part of the epidermis that the skin tag raises from is called a peduncle. Women are more affected by this skin condition than the men. And speaking numbers, they affect at least half the population at some point or other in their lives. 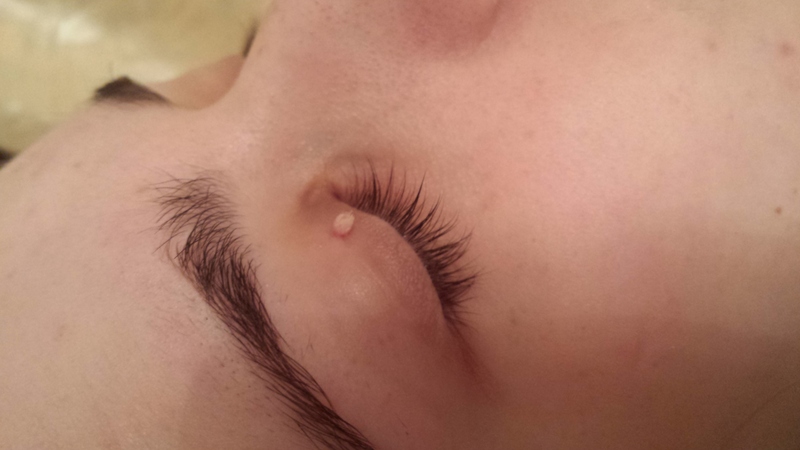 Skin tags are usually painless and are characterized only by an abnormal growth in the folds of the skin. In some cases, however, they become irritated and cause itchiness and another discomfort when brought into contact with clothing or other rough surfaces. Skin tag treatments are focused on treating the symptoms of itchiness and redness. Obesity or excessive body fat percentage can cause the skin to have an abnormal growth in the form of skin tags. Hormonal changes, especially in women, have been shown to have an effect on the occurrence of this skin condition. High fat and sugar level in the body can lead to skin tags. Persistent rubbing of the skin can cause lumps or tags to grow in that particular area. An unhealthy, sedentary lifestyle that warrants no movement of the body can be a potential cause of skin tags. A healthy lifestyle with ample movement of the body can make sure that there are no folds or excessive rupture of the skin that may lead to the development of skin tags. It is also very important to practise an effective skin care regimen where there are regular cleansing and moisturizing of the skin. Proper diet habits also go a long way in avoiding skin tags or any skin condition for that matter because the underlying causes of skin condition are usually a reflection of our food choices. So it is important to consume a varied and nutrient-rich diet regularly. The skin tag treatment that we use at our homeopathy centre is innovative and effective. Instead of using harmful chemicals to treat the skin tag, we use a technique where we tighten the skin tag which cuts its blood stream. This results in the stunting of the growth, basically causing it to ‘die’. After that has been accomplished, we then apply Dr. Zamir formula on it which causes the skin tag incrustation and also kills its root ruling out any future re-growth. Our skin tag treatment takes around a week to two weeks to completely heal the condition and after that duration, new skin starts to develop making the skin tag incrustation to peel off. Since we use completely natural products, our skin tag treatment does not leave any scar on the skin. The slight marking that is left from the treatment naturally fades away in no time. Get effective and at the same time, completely natural skin tags treatment at HPDC. With over 35 years of experience, our team of experts would ensure that your skin becomes healthy like never before.